February | 2012 | Beer Apprentice - Craft Beer News, Reviews, Interviews and Info. Hello guys. 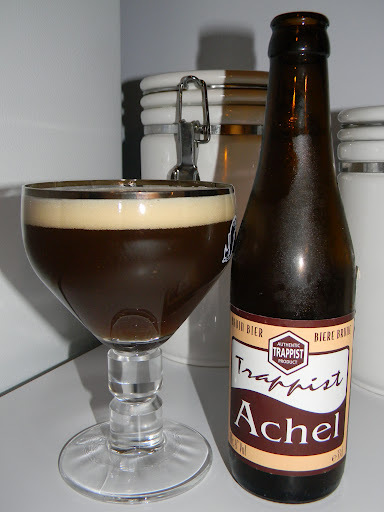 For today’s craft beer review I’m going to be trying the Trappist Achel 8 Bruin produced by the Brouwerij der St. Benedictusabdij de Achelse located in Hamot-Achel, Belgium. Nothing like an authentic Trappist brew to set the night off right. I couldn’t find any type of commercial description on the website http://www.achelsekluis.org/, nor could I find any information anywhere else on the web, so we are just going to have to try this out and decide for ourselves what this beer is all about. This Achel 8 Bruin comes in an 11.2 oz. bottle and has an ABV of 8.0%. The beer poured a murky brown to burgundy color. The cap was off white, decently sized, mostly creamy, soft and smooth. The retention time was quite alright and the lacing was more than ok too. Once the head settled it left a thin skim behind on top of the liquid. The smell revealed wonderful hints of dark fruit. Figs, dates and raisins. Some spicy cloves were infiltrated by a delightful sour dough bread and that all too familiar Belgian yeast. It had an almost “tea like” quality to the nose I thought. As the brew warmed I began to detect hints of caramel sugar and touches of booze. This nose was very, very well balanced and harmonized. Really nice. The taste was more of the same except that the alcohol was a bit more established. Awesome dark fruit tones. Figs, dates and raisins mixed with a pleasant bready goodness. More of that smooth, silky and creamy Belgian yeast also. The cloves sat right in the middle and only added to the overall complexity. The caramel sweetness was more of an undertone that never got in the way. One thing I noticed about this brew was the fact that it never became sharp or medicinal like some of the “American” Dubbels can be. This beer tasted wonderful and was super well coordinated to say the least. The mouthfeel was medium bodied. Very smooth, dry, mostly creamy and chewy. The carbonation was spot on and a good bit of warmth was felt for the entire drink. The palate was convincingly drenched with flavor after each and every sip. Man. This is a beautiful and brilliant beer in my opinion. It was so easy to drink too. It had all of the proper goodness that one would expect from a Belgian Dubbel without ever becoming obtrusive or overbearing. There’s really not a whole lot else to say except pick one of these up if you happen across a bottle. I don’t think that you will be disappointed. The Achel 8 Bruin may very well be the best Dubbel that I’ve tried up to this point. I would love to pick up another bottle or two to sip on while I play guitar. It seems like the right kind of beer for that sort of thing. Could just be me though. For today’s craft beer review I’m going to be having a Bell’s Amber Ale produced by Bell’s Brewing, Inc. located in Kalamazoo, Michigan. 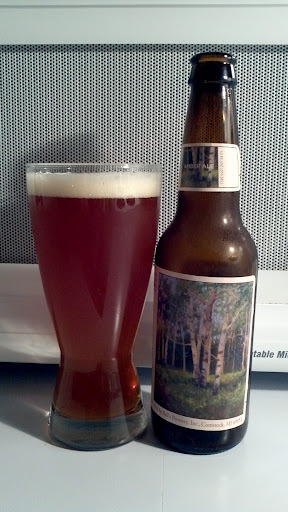 I’ve had this beer many times before, but have never given it a proper review, so let’s just go ahead and jump to the website, bellsbeer.com, and look for the description of the Amber Ale. This brew comes in a 12 oz. bottle and it has an ABV of 5.8%. The beer poured a hazy, nice amber to brown shade with some burnt orange and yellow highlights around the edges. The head was off white in color, of decent size, mostly creamy and soft. The retention time was decent and the lacing looked alright also. The nose on the Amber Ale was kind of a mediocre aroma of caramel malt, light walnuts and toasted wheat bread mixed with a subtle fruity pear or something. Some earthy hops gave a little more complexity, and all in all, it was decently well balanced, but just a tad meek and underscored. Not too complicated either. The taste let the hops come forth a touch more. It actually had a commendable little bite. Mostly grassy and grainy notes I thought. A good dollop of caramel sweetness was noticed and the fruity pear seemed to be a little more pronounced as well. More of the toasted wheat bread was found, but none of the nuttiness that was hinted upon in the aroma was accounted for. Again, fairly well balanced, but not very elaborate. The mouthfeel was medium bodied. Very smooth, dry, creamy and chewy. 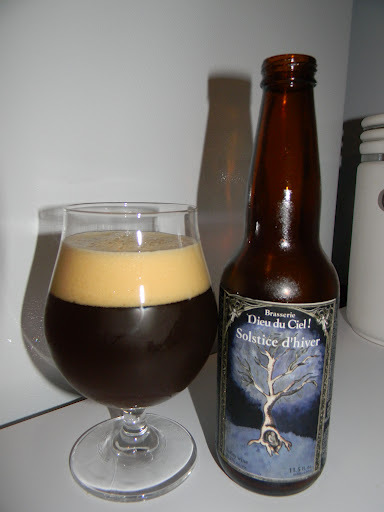 The carbonation was very lively and good and an ok amount of flavor was left covering the palate after each sip. Well… this is a pretty agreeable beer. It’s not a world class brew I don’t think, but rather more of an easy going, fun to drink, no-nonsense kind of beer that could be enjoyed with friends. It was super easy to drink and kind of an introductory brew for the style in my opinion. It’s worth a try I guess. I wouldn’t turn it down if it were offered, but I probably wouldn’t go looking for it either. With that being said, if you guys try the Bell’s Amber Ale, be sure to let me know what you thought of it. Thanks for reading and commenting everyone. I really appreciate it. It means the world to me.